Spotify user? Listen to all our Christmas releases here. Yellow6's 20th merry6mas installment collecting orphaned Yellow6 tracks from 2018. Last year we started an annual series asking artist to do their takes on ancient hymns. This year we have Grand Kali Ma, Small Life Form, & Remora all doing their own takes on Greensleeves. Download all 8 EPs & the compilation for just $8 (Half Price!)! 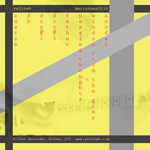 For Christmas 2017 we have 8 EPs from Electric Bird Noise, Yellow6, Small Life Form/Remora/Heavy for the Vintage/Philip Polk Palmer, Nonconnah, Lullabier, Baptizer, Hyperborean Echoes, & Dusty Tears plus the Experimental Christmas double compilation. Get them all for a discounted bundle of joy. The Experimental Christmas Show is an artistic communal experience created in 2008 by Adrian Wilson as part of his Maya Presents shows & expanding as an annual mini-tour across North Carolina in 2014. It's primarily a musical event, but has incorporated & is always open to consciousness-expanding short-plays, art shows, stand-up comedy, performance art, etc. The musical expression is usually “noise” or “experimental” in nature, but with strange open ears the event has included banjo players, kora players, accordion players, trumpeters, etc. as well as musicians who have unnamable instruments of their own creation. 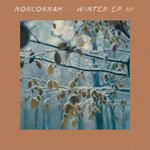 Nonconnah is back with what we hope to be an ongoing annual series of Winter EPs here at Silber. Shoegaze, minimalism, & field recordings echoing through a tunnel in the ice. Can you escape before everything collapses? You Said "The Snow Is Like Amnesia. 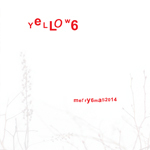 I'm Forgetting Everything"
The 19th in the ongoing series of merry6mas releases from Yellow6 composed of material recorded during 2017 that ends the year with no other home than this collection. Nearly 20 years in, do we still need to tell you that Yellow6 is post-angst guitar driven ambient? Mesmerizing aural memories from a land of giants. Forgoing traditional melody and rhythm, Electric Bird Noise embraces the unknown on the darkly beautiful “nam wen eht fo htrib”. Electric Bird Noise returns with a 21 minute journey of loop driven ambient & claustrophobic guitar exploration. Elevator music for art galleries... really creepy art galleries. Baptizer explores the unfolding of the present dark age as a prelude to the return of the King. Other than vocals by Baptizer’s six and eight year old sons, the only sound source is a 5u analog synthesizer. Droning tension for the final credits of the end of the world. 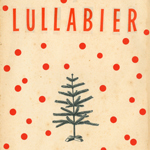 A collection of Christmas songs from Lullabier, the covers personally translated by Andrea to make them more his own. Dusty Tears is Jamie Smith (Danghead) & Shane de Leon (Miss Massive Snowflake). They formed in 2016 after Smith’s daughter stated that her freshly dyed hair smelled like “dusty tears”, though the two first played together in Billings, Montana in 1987. For Dusty Tears return to Silber with Dusty Christmas, Smith & de Leon record content looping Morricone soundscapes alongside Dinosaur Jr. guitar burnings. A mix of vocal, instrumental, electronic & acoustic instrumentation, strong melodic wanderings, & inspired lyrics. It’s Christmas, wipe those tears away & put your sweater on. 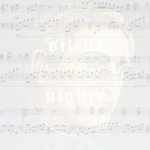 Four versions of the Christmas classic "Silent Night" - electroclash, ambient, & cacophonic mashups from Heavy for the Vintage, Philip Polk Palmer, Remora, & Small Life Form. Download all 5 EPs for just $4! For Christmas 2016 we have 5 EPs from Electric Bird Noise, Yellow6, Small Life Form, X-Bax, & Nonconnah. Get them all for a discounted bundle of joy. 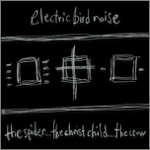 For the past two years one of the primary facets of Electric Bird Noise has been the discordant chorded minimalist guitar jazz music for art galleries of Kind of Black, Birth, & Follow the Star & The Spider…The Christ Child…..The Crow continues this series with chords fingered by spiders, plucked by crows, & built for The Christ Child. It’s not a horror movie, it’s a celebration! 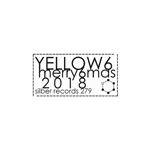 For those not in the know, for eighteen years now Yellow6 has been putting out an annual Christmas series collecting unreleased & rare recordings from over the year that haven’t been on other releases. 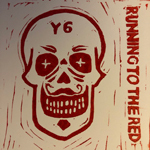 It’s always a treat as you get to hear sides of Yellow6 that might not fit so neatly on an album release. This year we have some pieces more sparse & minimal than you often think of Yellow6 being, closer to the sound track of an american desert than a cavern drenched with echo. It’s so easy to get lost in place & space & time with this collection, is it 1916 or 2016? Does it matter? Drone on! Nonconnah is the new project from Zach & Denny Corsa who retired the Lost Trail moniker after moving from North Carolina to Tennessee. The music is still in the same vein, walls of guitar & field recordings based sonic sculptures, just made in different fields. We’re pleased to have the first release of the new project as part of our Christmas series. Sit back as the glaciers come over the south with some new old friends. X-Bax is Phil Dole’s experimental music project this time out with help from Ken Huntington on harmonica & field recordings while Phil sticks with his aggressive guitar ambience. Remember that time you got drunk & tried to figure out which pedals to keep in your rig? 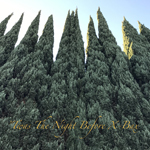 ‘Twas the Night Before X-Bax is better than that! For Christmas 2015 we have 7 EPs from Remora, Electric Bird Noise, Fornever, Yellow6, Small Life Form, Baptizer, Lost Trail, & Exercitus Dei. Get them all for a discounted bundle of joy. 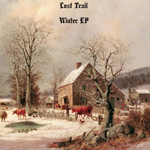 For most Forestpunks, Lost Trail need little introduction. We’re longstanding fans of the beguiling soundworlds of North Carolina’s Zachary and Denny Corsa, spending countless hours getting lost in their crumbling kingdom of decrepit field recordings and amorphous electronics. With Forestpunk being based out of our gloomy corner of the universe in Portland, Or., we don’t get a whole lot in the way of Holiday Cheer. It’s less Winter Wonderland and more Winter Wasteland. While much of world plays in snow drifts, ice skating on ponds, going for sleigh rides, or whatever other Norman Rockwell-isms people get into during the Cold Weather months, our streets turn to sheets of black glass asphalt and the sky is an unbroken sheet of leaden grey skies. Portland’s winters are the natural defense mechanism of the Pacific Northwest, to keep from being overrun by Californians. Still, we get a bit homesick for the industrial wastelands of Chicago around this time, with the lights of Michigan Ave. reflecting in fluffy banks of snow drifts and prismatic icicles. And as anyone who has grown up in very inclement weather can tell you, these seasons are times of very conflicting emotions. The lights are beautiful on the trees, and it can be nice to see long lost friends and relatives. The winds can also be like razor and surgical steel needles, and the advent of reunions can be more dread and stomach acid than feel good reminiscence. Lost Trail seem to wrap up the months of November and December in a pretty tinsel bow and deliver them to all us orphans and transplants, which is no easy feat! Lost Trail’s drones seem hollowed out and misty, giving the sensation of walking in a peaceful cone of silence. They remind us to stay centered, no matter where we are, to seek the stillness and holiness in the dark quiet of these long nights. Like Remora, it’s easy to imagine Winter sounding good, no matter the season. And if you’re new to the Trail, Winter is a fine trailhead to climb on board and get lost! For 5 years Lost Trail has been putting out massive amounts of ambient, experimental, drone, & post rock music. 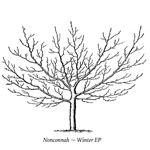 We're pleased to present their Winter EP that provides moments of minimalist reflection as well as walls of burial in the snow. For nearly 20 years Electric Bird Noise has been Myrtle Beach, South Carolina's salvationary lighthouse for experimental music whether it be rooted in darkwave, new wave, post rock, guitar walls, or experimental noise. 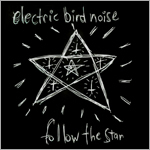 On Follow the Star Electric Bird Noise follows the discordant ambient jazz guitar explorations of recent releases Kind of Black & Birth. Jesus is coming, how does it make you feel? Those dudes over at silber media certainly no how to dish up the treats, not content with releasing the latest Yellow6 sonic 6mas card, the blighters have once again marked their seasonal salutations with the release of a plethora of EP’s all of which we’ll do our damnedest to feature, either later today or over the course of the next day or two. For now though, plucked from the festive hat, we’ve had cause to be rather smitten with a cut from Exercitus Dei entitled ‘Christus Vincit’ which by rights should have you fixed to spot and somewhat forgetting of the cheap commercialism of the season for a second or, as the case may be, 16 minutes by which time you’ll find yourselves bathed in celestial lights and awed by the majesty of its passing. Of course as ever the press gubbins plays down matters a tad commenting thus ‘an extended meditation on the glory of Christ’ which I must admit on first reading had us slightly worrying that we were in for an extended spot of ‘thought for the day’ styled yuletide prose. Still, if your musical bag is slightly more robust and draped in regimental fineries then this may well furiously tick the boxes sounding as it does like the celestial cavalry fast approaching over the hill replete with the soft mesmeric after burns and radiant glow of ethereal chorals of angelic sighs. 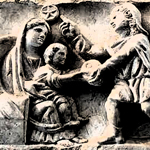 An extended meditation on the glory of Christ as well as the martial tradition inevitably connected with the preservation of Christendom. 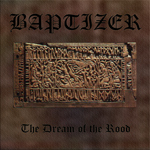 Baptizer explores the maddening mysticism of The Dream of the Rood, an ancient Anglo-Saxon poem which blends the sacrifice of the god Woden with the crucifixion of Jesus. Synthpop, shoegaze, & darkwaved tinged Christmas music. This is, quite simply, a damn fine power noise/harsh drone record that conveys a feeling that a narrative arc couldn’t. First up, we have one raw, straight-to-tape sonic odyssey from Remora, the noisey solo guitar moniker of Brian John Mitchell . Christmas Drones For One Guitar is comprised of four lengthy drifts, that blend and bleed together, working as one monolithic whole, while still resembling “songs”. This is no passive, weightless, polite background listening, however, as Remora’s fretwork rips, tears, and rends behind the scenes, in a style somewhere between Nadja and the gentle ambiance of Labradford and Windy & Carl. Blissdrone meets shoegaze and post-rock? Yes, please! Let’s just go ahead and shatter that illusion of critical objectivity and point out that we are guitar players, here at Forestpunk, as well as being fond acolytes of six-string mutations, so we’re always glad to see people pushing the axe’s timbre into new and interesting areas. It subverts the rockist tendencies, and conjures a different vision of the infinite than electronic music does. It’s a bit earthier, more tactile, with the fleshy pads of fingers modulating steel and electricity, like some kind of medium. Remora takes us into the stratosphere with “Special Occasion”, the lengthiest sojourn here, and brings us back down to the gravity well with “VAB”‘s ebbing echoes. What happens in between is like an anti-gravity epiphany, like watching the entire Earth at once on 12.25, watching the twinkling lights from the inky depths of outer space. Remora’s drones and drifts are dense and full, never boring, and emotive, although Mitchell doesn’t tell us what those emotions are. Instead, he paints a compelling portrait and asks us to investigate, deciding for ourselves how to feel about the story. A delightful, open-ended exploration, that would sound as fresh and timely in July as the depths of the dark nights of winter. Four loop driven ambient guitar improvisations from Remora. Drink your eggnog until you think it's 1999 again. And talking of Yellow6 – plenty of activity of late, release wise that is, this being the approach of the silly season must mean the imminent arrival of a year-end Merry6mas seasonal sonic card is due. And so it did today – limited to just 130 physical copies – and something which we will be covering a little later in the week. For now, asides eyeing with a good deal of crestfallen heartache a 30 only 12 inch lathe cut entitled ‘beat them at their own game’ which has long since flown the coup and featuring two cuts that missed the final edit of his Silber released full length ‘no memories, only photographs’ – we did spoke this – ‘the church of sound’. A name your price set that finds, for what is these days, something of a rare event –that being a live appearance by Mr Atwood. As the press release blurb rightly points out a no frills, no bonuses, no Easter eggs or free gifts recording replete with additional crowd coughs culled from a show at Lee Rosy’s Tea Rooms in Nottingham, one evening in mid September featuring a 30 minute 5 track recording which typically gives insight and evidence aplenty of Mr Atwood’s exquisite craft at creating lush textures, colours and atmospherics from the most minimalist forms. Both mesmeric and tenderly executed, the finite artistry at work alludes to an almost hymnal gracefulness, the wistful slow burn, the wrapping in sonic prose, poise and a porcelain majesty, opener ‘flaming june’ is the sound of the Cocteau’s arrested to a murmuring pulse flicker, the arcing chords almost suspended in a frozen moment dissolve and dissipate into the haunting hurt of the sparsely bleached Fahey-esque ‘seal beach’. For us though prime ear worm moment comes with the arrival of the mellowing melancholia of ‘the fifth’ as it bathes all in the kind of tear streaked bleak beauty encountered many a time amid Morricone’s back story filling moments from his spaghetti western canon. Continuing Yellow6's yearly document of unreleased song for the 17th time. Post rock guitar experimentation at its finest. For Christmas 2014 we have 7 EPs from Remora, Electric Bird Noise, Firetail, Yellow6, Small Life Form, Baptizer, & Ronja's Christmas Witch. Get them all for a discounted bundle of joy. 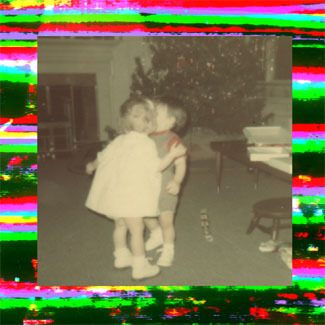 Containing a single, sixteen minute track that reduces a well-known holiday favorite to a resonant blur, Firetail’s Little Droner Boy EP is easily the most accessible of the four Silber Records' 2014 Christmas releases that I’ve heard thus far. While the previous two albums in the series (Small Life Form’s Parts for Holiday Projects and Electric Bird Noise’s Birth) would be more or less unlistenable to those raised on more mainstream types of music, Firetail’s Droner Boy (the product of musician Andrea Vascellari, better known for work done under the Lullabier name) doesn’t just have a recognizable theme as its basis, but is -gasp!- actually fairly musical. Essentially what we have here is a manipulated version of the song “The Little Drummer Boy” that, instead of revolving around a rhythmic percussion parts, centers around an omnipresent, throbbing drone that’s heard throughout the piece in the background. The early minutes of “Little Droner Boy” include snippets of angelic choir singing the main melody as well as the accented lower vocal parts originally intended to simulate the sounds of drum rolls. While none of the words of the song can be heard in Firetail’s version, it is reassuring to at least find some familiar elements to latch onto here (even if the higher voices sound like drawn-out, resonant shrieks), and the basic framework of the original song is present in some form throughout most of the track. The middle section of “Droner Boy” finds the piece moving as far away from the source material as it ever does, with tinkling chimes, groaning low voice parts, and occasional cadences of military snare drum being heard alongside what sounds like Darth Vader respiration. Ominous though the piece may be at this point, it also has an almost profound, religious sort of feel to it since all the high voice parts have been blended together to create a sort of godly haze which hangs over everything else going on. As it nears its conclusion, things begin to “normalize,” sounding more and more similar to the original tune before a gradual fadeout of almost hopeful reverberating chords. Lacking a big climactic moment of revelation, Little Droner Boy is also probably too drawn out to strike the fancy of those raised on a steady stream of more traditional holiday music. Still, Firetail’s addition to the Silber Christmas release series is entirely listenable and one of the few and perhaps the only volume of the 2014 releases that would have any (albeit limited) appeal to the general listening public. As much as some of the others in this series would be mighty sketchy for most listeners, Little Droner Boy is one that I’d be most inclined to recommend. 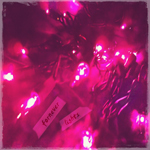 Firetail creates a reverb drenched drone from a Christmas classic. A Burning Lump of Coal by Remora is the second release in Silber Records’ lineup of 2014 Christmas-inspired EPs that features music by Brian John Mitchell, who also runs the label. 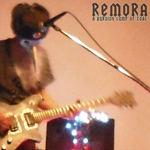 The Remora project has been around since the mid-1990s and has a significant number of albums out there ranging across many genres and styles from pure drone and guitar experimentation to self-described post-apocalyptic pop and even a cappella music. Their 2014 Christmas release, like Firetail’s Little Droner Boy EP, takes some of its inspiration from well-known holiday music, but from there, Remora unleashes loud, gnarly guitar work and downright grating amounts of piercing noise, resulting in an album that has sections that are alternately hypnotic and positively jarring. 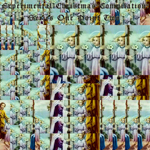 The album begins with an almost industrial rendition of “O Come, O Come, Emmanuel” that features abrasive, chainsaw-like background guitar, a robotic electronic beat, and bouncy synthesizer melody. This melody only ever goes through one stanza of the familiar melody, making the piece extremely repetitive – and completely pointless by the standards of traditional songwriting. That said, the piece is almost trance-inducing particularly in the way the harsh guitar interacts with and threatens to destroy the ongoing melody. Second track “Ho Ho Ho” sounds almost like the chanted march of the villains in the original Wizard of Oz film, with groany vocals repeating a progression of “o-OH-o” syllables over droning mechanical noise, while “Old St. Nick” is built around -gasp!- discernible lyrics. Before anyone get too excited about a track here that’s almost song-like, I should say that the hopelessly dark “Old St. Nick” sounds like a holiday tune that Swans’ Michael Gira or maybe even Trent Reznor might come up with. The vocals are extremely low-register and monotonous, the lyrics delivered in an almost emotionless manner over a plodding and unsettling bass part, more grinding and eventually very harsh guitar and odd, metallic sound effects. The album name comes from this track, whose lyrics focus on the the titular character’s attitude towards the not-so-good children on his list. The EP ends with the significantly longer (eight and a half minute) instrumental “Shchedryk” which sounds like a tune emitted from a broken and warped music box. Comprised entirely of jangly and loud metallic tones which blast out of the stark mix, ultimately creating resonating discordant and almost ghostly chords that shriek and wail endlessly, it’s probably too extreme for many people to get into. Still, I rather like the chaotic feel of the piece and the strange atmosphere it evokes. If Remora’s goal on this EP was to make slightly deranged music that somehow still retained some semblance of holiday mood, they succeeded with flying colors. 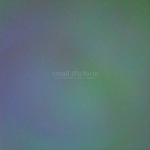 Vaguely more musical than some of the other releases in this series (especially the one by Mitchell’s other project Small Life Form), A Burning Lump of Coal is probably among the more tolerable and maybe even likable of these releases, yet is bizarre enough to appease those looking for something well off the beaten path. Again, it’s not for all tastes, but those who’ve listened to other series entries will know what to expect. 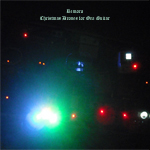 Remora's music re-invisioned for tales of a post-apocalyptic Christmas celebration. Remarkably creepy Electric Bird Noise explore the shadows on “Birth”. Everything about it is covered in darkness. Lonely guitars make up most of the collection. For the remainder there are elements of other ghostly presences. Sounds linger far longer than what seems natural giving the songs a strange haunted aura. By staying dedicated to this approach Electric Bird Noise ensures that they do not lose focus of the mood they have created. A select few guitar plucks begins the eerie “Evlewt”. From this work a melody emerge fragile and cryptic. With the progression of time smaller gestures enter into the equation, a bass rumble, other guitars, and working together to transform the sound into a web of sorts. Each additional repetition makes the song feel that much closer to a revelation. Playing with the idea of a sudden explosion of sound the tension of the work becomes almost unbearable. The release comes with the hectic rush of “Neetriht” whose surreal elements repeat until they become incredibly overwhelming. Returning to quieter pastures is the contemplative work of “Neetruof”. Letting the bass rumble throughout helps the song take on an uncomfortable sound and lets it drive the song forward until a sudden stop. By far the best track on the collection is the alien transmission of “Neetfif”. Beginning with small shrieks across the soundscape the piece increases in size and density until falling into a noisy drone for the finale. 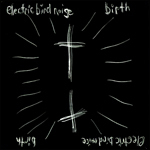 Impossible to fully understand Electric Bird Noise rule over dark lands on “Birth”. 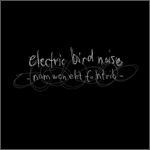 Having released their debut album back in 1999, Electric Bird Noise (project of one Brian Lea McKenzie) appears to have run the gamut of experimental sound and music since that time, making everything from minimalist post-rock to more melodic synthesizer music and prog. The group’s contribution to the Silber Record Label’s lineup of 2014 Christmas releases instantly seems more obviously experimental and jarring than the more drone-inclined Baptizer release which I covered yesterday. Made up of rather barren, oddly-named tracks constructed almost exclusively of echoed, lonely guitar motifs layered on top of one another, the Birth EP contains dissonant and unconventional melodic structuring that seems tailor-made for use in esoteric cinema. It was soundtrack material like this after all that made movies like 1975’s Bug (with music by Charles Fox) memorably odd, but I might be inclined to say that in terms of mood and the warbling, almost theremin-like quality of EBN’s work here, Birth sounds more reminiscent of the slightly demented collection of library music heard during the seminal Night of the Living Dead. Built around a clean but unsettling guitar theme, first track “Evlewt” gradually piles on additional parts that start to clash with one another in alarming ways by about the ninety second mark. At times, the piece sounds like little more than someone slamming a keyboard, but the relentless forward momentum prevents it from stagnating. The point of a piece like this seems to be to point out how even simple pieces of music can create mood and even creep out a listener: by the end, this piece is downright disturbing and borderline uncomfortable to listen to as it starts to become overrun with howling, reverberant tones. 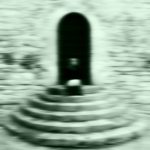 Second track “Neetrith” is only half the length of the opener and operates in much the same way, compiling another ever-expanding bunch of short themes into a dense sonic composition. The brevity of the track means that this one has to cut to the chase sooner, the ghostly chords heard initially quickly being enveloped by more resonant and piercing high tones and percussive accented chords. Subsequent track “Neetruof” makes a transition from being more light and airy in its early stages to being positively leaden by its conclusion. Thunderous, growling low tones bellow out of the mix as the track goes along, attempting to bury the warbling guitar that stand as the track’s central element. Like the others here, this track carries on for a certain amount of time and then abruptly ends; the piece doesn’t seem to be heading towards any specific destination as it were and also doesn’t feature any sort of honest conclusion. Birth’s final track is the spacey “Neetfif,” which has more a sense of openness to it when compared to the more constrained and almost claustrophobic sound of the earlier pieces. A whining and sputtering repeated guitar melody swirls around in the compositional scheme of this track, occasionally showing up as if to suggest a comet gliding by while alternately screeching, twinkling, and groaning guitar parts feature more noticeably in the mix. I’d say this is probably the track most listeners would gravitate towards since it’s somewhat more familiar sonic territory, but it’s another track which appears to be designed to instill a sense of paranoia and/or worry in a listener. Having heard two of Silber’s 2014 Christmas EPs now, I think it’s safe to say that the bulk of these releeases would at best be an acquired taste. For me, Birth seems a bit more tenuous in its ties to the holiday season than did Baptizer’s Nativity, and would seem to many like little more than a jumbled mess of sound - though that tendency doesn’t stop it from being interesting and maybe even impressive from a conceptual standpoint. Odd to a level that many listeners simply won’t tolerate though never quite becoming genuinely abrasive, Birth clearly falls into the sound art category since it’s very obviously not at all concerned with the development of melodies or song-like structures. The experimental music crowd would find this (and the other releases in the series) to be exciting, and I’d say it would best be appreciated by those interested in the way minimalistic “music” and sound can be used to instill mood or even create an emotional response in listeners. Discordant guitar ambient for being trapped in an elevator trying to escape a Christmas party. Michael Anderson and friends is Drekka, always busy touring or playing concerts, it seems has probably more music under his belt than I will ever discover. So, occasionally I get something new, and here's a thirty-two minute EP recorded in Iceland, a few months back. Already dark enough over there to start thinking about Christmas, as Silber Records asked them for a download only with the idea of that season in mind. 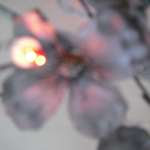 The results are also available as a highly limited CDR on the bands own 'Orphanology' label. 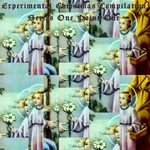 Twelve pieces, from a handful of seconds to almost nine minutes, there is a bit of field recordings in here, which have a lot of guitar and electronic sounds, along with whatever field recordings were used in this. This is Drekka at their finest ambient rock/post rock incarnation. Lots of spacious stuff flying about in this dark days, but I wonder where the component Christmas fits into this, other than perhaps some more desolate playing, but hey, that can be done anytime and anywhere. It's a fine release with some highly atmospheric tunes and textures and given the fact that the rain pours down today, just before Christmas; this is probably the right bunch of tunes for the right time indeed. The most substantial of the six EPs that make up Silber Record’s lineup of 2014 Christmas-themed releases, Ronja’s Christmas Witch is also the most accessible and perhaps likable of the bunch. 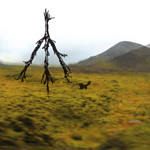 Produced by Icelandic musician Mkl Anderson (of the group Drekka) in collaboration with Sarah Dunevant & Þórir Georg who recorded the material on the album during a one-night session in October 2014, Ronja’s Christmas Witch plays in a somewhat similar manner to modern post-rock, including a mixture of minimalistic music compositions and more ambient-based, found sound recordings. Labeled as “Christmas Dreams,” these tracks, perhaps appropriately given the setting the recordings were made in, frequently have an icy and rather desolate sort of sound to them, but many are also quite serene and calming. The album’s opening track (“First Dream of Christmas” - the tracks are numbered thusly up to the “Twelfth Dream”) appears to be a recording of a traditional seasonal tune being sung (in Icelandic I would presume) at a get-together of some sort. The end of the track features an English-language speaker asking “Where are you going? Salvation’s that way:” a statement that implies the listener is heading in the opposite manner. Ronja’s Christmas Witch is never as dark as might be suggested by that statement however: these dreams may not be all sunshine and rainbows, but they’re never utterly hopeless either. The majority of the album’s tracks present relatively brief snippets of atmospheric ambient or drone music built around rumbling bass tones, soft rhythm elements, and just hints of what I would consider melody. Some tracks, such as the “Third Dream of Christmas,” have a more optimistic tone to them: this particular one is built around the sound of tinkling bells, with warmer chords that lie just beneath the surface. As such, the piece continually threatens to turn into something downright cheerful but never quite reaches that point. By the mid point of the album, the generally ominous and almost menacing mood established on the fourth and fifth tracks is upset somewhat by the mysterious yet almost comforting sixth piece. With its airy, synthesized vocal melody, there’s an emotional resonance to this track, but the subsequent “Seventh Dream” is about as far as the album treads into the realm of jarring industrial-like drone. One of the album’s longer pieces, track seven starts off with a hollow-sounding, woodwind-like melody. Ever so slowly, grating mechanical whirr and more shrieky higher-pitched tones bubble to the surface, yet these more harsh sounds never quite overpower the original elements of the piece. Following an eighth track that instills a nostalgic feel in the listener and a ninth piece that recalls SD Laika’s brand of glitch electro, the nine-minute tenth track begins with a solitary acoustic guitar line and continues by unleashing resonating ethereal chords that echo endlessly in the mix. Like many of the tracks here, it’s almost as tempting to focus on the odd and noisy elements that creep into the background of the composition as it is to focus exclusively on the “melody,” and the sense of “space” in the piece is immediately noticeable. The sparse “Eleventh Dream” actually has bits and pieces of the melody from “The Little Drummer Boy” played on a chirping guitar, and the album ends with a field recording that captures the sound of power tools drilling before ending with a few moments of silence. All in all, though it’s much too minimalistic to be of interest to those used to the flashy production and continual sound of most of today’s popular music, I found Ronja’s Christmas Wish to be the strongest and most consistently interesting of these 2014 Silber Christmas EPs. Even if this album too is very experimentally-inclined, with a lot of unconventional composition techniques on full display, there’s much more going on here than was present on any of the other releases in the series. The fact that Christmas Witch is quite relaxing and generally pleasant to listen to also makes it significantly more palatable than the nearly formless guitar experimentation that was the focus of several series entries. 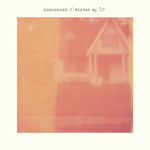 Fans of stuff like Grouper or even the more ambient side of post-rock would probably find this EP worthwhile – it actually very precisely captures the type of mood I’d prefer to have during the holiday season. Mkl Anderson of Drekka leads us through a world of Christmas dreams. This being the festive season things don’t really get to feeling seasonal or festive around here until the arrival of the Yellow6 Christmas CD card. 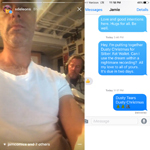 So I’m happy to announce the 2014 edition is upon us, so while we wait for our copy (just 100 physicals available and then its downloads I’m afraid) we’ll let Jon (Atwood / Yellow6) give you the background as to these annual soirees and details / thoughts on the tracks within though not before we get a chance to put our tuppance ha’penny in to comment upon the cut that Jon recalls having no recall recording (I’m certainly uncertain as to whether that is yer actual allowed English) ‘drone #2’. As rightly pointed out by its author ‘drone #2’ does veer into worlds more commonly associated with past Kranky alumni, pensive and considered, its trademark Yellow6 in so much as it is sculptured in the crafting of moments and moods suspended or put on pause and etched in porcelain beauty, that said there’s an ache to this drifting gem that finds it steeled in isolationism, its mournful contours sigh with such noir detachment and bruised serene beauty as though some graceful Mancini styled opine set to half speed as to have you drawing up close considering the offer of a sympathetic arm. 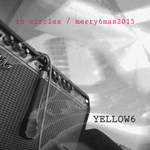 A collection of outtakes, live recordings, & new material wrap up the year 2014 for Yellow6. 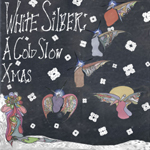 I think we promised that Silber records would shortly be releasing a stack of Christmas related musical festivities – well they are out – so we’ve already briefly mentioned yellow6 so while we get around to sampling the delights of baptizer, ronja’s Christmas witch, electric bird noise, remora and firetail here’s small life form with ‘parts for holiday projects’ – which according to the press release was initially conceived as a conscientious stab at celebrating the birth of Christ before going a little awry. We’ve trained our ears on the centrepiece cut ‘it’s not all milk and cookies’ and can quite confidentally confirm – well it’s not quite Wham but then were you to expect such in these missives there would be the odd querying raise of the eyebrow and a firmly disapproving tut tut. Still what you get for your dollar is something rathermore very unseasonal unless of course I’ve somehow somewhere come to lose the point, plot and reason for being here. In truth sounds like the third programme of the spin cycle on an Indesit washing machine – model number WCM6165 in case you are taking notes – and we ought to know because we are midway through a wash right this minute and it sounds like this track is communicating with said washer in some strange droning dialect either that or some insane mind frying dream machine. Very odd though that said it ought to appeal to all you astral social club and trensmat admirers. Methinks on some level, the Parts for Holiday Projects EP, created by the group Small Life Form as part of Silber Records’ 2014 Holiday EP lineup, is trying to convey the notion that underneath that bushy beard, Santa Claus may be getting fed up with the tiresome routine of Christmas (as are some of the rest of us...). Containing four tracks which are named in a way suggesting that they chronicle a typical Christmas Eve, the album is billed as an EP of “electroacoustic manipulations,” but that term typically indicates that what we’re left with is something that’s not altogether musical. I’d go so far as to say that most people would find this as pleasing to listen to as industrial machinery clanking away, but there is a method to the madness here and I swear I can even hear jingle bells at least once during the course of the EP. Bookended on the front side by the brief “slumber,” which has a gurgly, underwater sort of sound to it, and “workshop,” which imagines Santa’s North Pole toy factory as a nightmarish, mechanized hell, the album’s obvious feature track is the nearly nine and half-minute “it’s not all milk and cookies.” This track finds the affable, rotund fellow adored by children of all ages replaced by a metalized Santa that’s sputters away as he goes about his business of providing toys (...or maybe miter saws...) for the world’s children. Harsh and abrasive, the piece slowly builds from an almost hypnotic drone into what seems to be a pulsating rumble and whirr of spinning parts and pieces that doesn’t so much conjure up images of flying reindeer as ones of the housekeeping staff vacuuming up after a particularly rowdy holiday gathering. The album’s final piece “wake up” is similarly hard on the ears, with a continual, thick, and overwhelming hiss being the main (and pretty much only) element heard in the track. Honesty, if all you want for Christmas is hearing loss and a headache, you’ll likely find just what you’re looking for here. 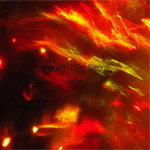 Small Life Form explores the secret sounds of jingle bells. 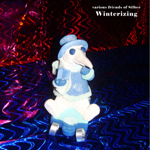 Since the year 2000, the Silber Records label, which specializes in drone, ambient, and experimental recordings, has made an effort to put out some sort of special release or series of releases around the winter holidays. Following a number of Christmas-themed compilation albums, the label released a half dozen or so extended plays from different artists to commemorate the holiday season in 2014. The first of which was produced by North Carolina’s Baptizer, product of self-described “mental patient-turned militant survivalist” and musician Jim Baptizer. 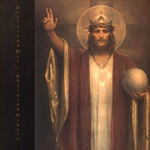 Given the unsettling and almost apocalyptic quality of his music, I was somewhat surprised to learn about Baptizer’s sincere interest in religion, though anyone vaguely familiar with the Bible knows that there’s plenty of unsettling and apocalyptic passages in it. It’s somewhat unfortunate that most people who think of religious music (myself included) typically tend to picture stuff of the “Kumbaya” singalong variety these days: religious music can take the form of any number of things and honestly, I find Baptizer’s brand of contemplative and hypnotic music to be much more spiritually satisfying than any number of traditional/conventional hymns or songs of praise. Baptizer’s Nativity EP certainly falls in the category of being hypnotic, made up of two tracks built around almost industrial background sound. The opening track here is entitled “The Demons of Herod Hunt in Vain,” which references the futile search initiated by the reigning King of Judea when he learned of the imminent birth of Christ. As might be expected given that framework, the track is harsh and menacing, with grating, staticky noise standing as its primary element for much of its run time. Snippets of what seems to be a religious monologue peek through the gurgling noise elements, and towards the end of the piece, much warmer and more optimistic sound elements bubble to the surface. These brighter motifs suggest the sense of hope offered by the actual birth of Christ, since Herod’s men were unable to track down and eliminate him. The thirteen-minute title track similarly makes a transition from being cold and unnerving at its start to seeming more inviting by its conclusion. Early on, the piece is very earthy, with sounds of birds chirping and a baby making its first onomatopoeic sounds heard over piercing, metallic accents. Later on, more resonant droning sounds gurgle out of the background and give the track a poignant, almost regal feel, and it finishes with a section that’s reminiscent in sound to the trumpeting choruses heard in many classical pieces of religiously-inspired music. To me, “Nativity” reflects the Virgin Mary coming to terms with the birth of the Christ Child. Though she must have been reluctant or even afraid when first hearing the prophecies relating to her divinely-guided son, the track seems to capture Mary’s acceptance of his destiny and her place in the ongoing story. Even if the track isn’t especially melodic or even musical at times, it’s quite peaceful and calming, positioning the listener in a nice, relaxed space. In all likelihood, this is not what would come to mind when most people imagine religious music, yet Baptizer’s Nativity EP seems to embody many ideas and themes related to the actual birth of Christ – not the consumer-friendly Christmas holiday that we are more familiar with today. I found this to be an extremely well-crafted and almost inspiring release that prompts the listener to go on a voyage of introspection and self-discovery. Honestly, that’s about as outstanding a holiday gift as any music could provide, and I’d recommend this relatively brief EP to those willing to approach it with an open mind. US project BAPTIZER is the creative vehicle of composer and musician Jim Baptizer, mainly a standalone venture but with occasional guest appearances from others I understand. The EP “Nativity” dates back to December 2014, and was released through US label Silber Records. This two track EP doesn’t have all that much in common with conventional music, and arguments can be made for these creations being soundscapes rather than music as such, where the mood, atmosphere and a certain theatrical flair takes precedence over melodies and harmonies. Opening and title track Nativity is a 13 minutes long journey, initially opening with a gentle drone underscoring bird sounds and the joyful sounds of a baby, then developing towards a more sickly, otherworldly atmosphere with more dominant drones while the bird sounds fade away, then concluding on a more majestic note as the sickly timbres from the backing drone fades away and a subtle majestic voice texture is applied instead. The second and concluding piece, The Demons of Herod Hunt in Vain, is a radically different affair, opening with dark, machine-like brooding sounds, ominous and haunting, where traces of whispered voices and talking gradually increase in intensity while the darker backdrop recedes in intensity, concluding with an arrangement of eerie voices, almost angelic layered voice effects underscoring while the initial dark and oppressive drone backdrop have just about faded to silence. Those fond of music made in a more or less conventional manner will probably find this production rather less than appealing, but for those fond of soundscapes and sound effects assembled in a fairly theatrical manner and in a way that invites to associations should find this production to be rather appealing I’d suggest, and in my view those who recognize themselves in this description should take the time to investigate this production. 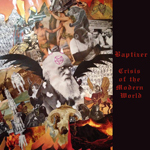 Baptizer provides the caustic soundtrack of the first Christmas. 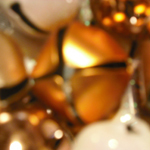 All our past Christmas Compilations free in one place for you. Provided to you for free by our friends at archive.org or listen to them on Spotify. The holidays are back again. 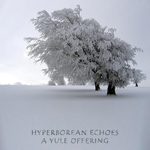 It's 2011 & we have come baring gifts from the distant land of Silberia. 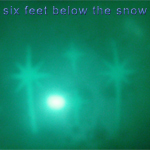 Gifts of noise & drone & pop & atmospheres to melt the snow above us. The artist roster is Charles DeMar, Jon DeRosa, Thorn1, Landerim, Miss Massive Snowflake, Goddakk, Origami Boe, Moodring, Remora, Pacific 231, Sibyll Kalff, Yellow6, Lullabier, Feel No Other, Tony Whitlock, Les Marquises, Løzninger, Electric Bird Noise, Parties, & Drekka with Michael Demery Toran. What’s there to say about this compilation? 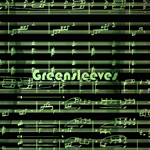 Old friends & new friends doing mainly original compositions & mainly instrumental pieces. An artist roster of Aarktica, Small Cities, Charles Atlas, This Quiet Army, Electric Bird Noise, Lullabier, Bryce Eiman, Polar400, Miss Massive Snowflake, Gorgons, Origami Galaktika, Remora, Lozninger, Fornever, Moodring, Subscape Annex, Carta, Small Life Form, Zanzibar Snails, Moral Crayfish, Northern Valentine, Medit, & Yellow 6. So a solid representation from the Silber roster, the 919Noise scene, all our old friends, & some folks we’ve just met. I hope you dig it all & maybe find a new favorite band or two. Personally I’m pretty pleased at how it simultaneously goes all over the musical map & remains cohesive. Noise, beats, slowcore, found sounds, guitar walls, & occasionally things that could pass for rock & roll. 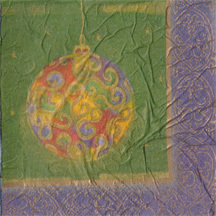 The 2008 installment of our Christmas compilation series. Strangely enough there seem to be somewhere around zero covers of traditional Christmas tunes this time out. Merry Christmas from Silber Records. 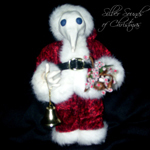 Silber Sounds of Christmas is our third Christmas compilation & once again offered as a free download to the internet savy. Released as a Christmas gift for our fans in winter 2004. We initially got so many downloads of this we had server problems & that's why we teamed up with archive.org. include Rolleball, Plumerai, Remora, Small Life Form, If Thousands with Haley Bonar, Shiny Around the Edged, Tore Honore Boe, Immune, The Massive Snowflake, Attrition, Oleta, Aidan Baker, Drekka, Origami Vokstervisse, Peter Aldrich, Rivulets, & Jamie Barnes. Our first limited edition comp & our first holiday comp. Anaphylaxis, Michael J. Bowman & Ken Clinger, Aarktica, Rivulets, Ovum vs Motpol, Drekka, Electric Bird Noise, Russell Halasz, Goddakk, J. Ned Kirby, Small Life Form, & Remora.